Covey Motivation is a fire from within. Generally, people get motivated by their idols or famous celebrities for health, career or job anything. Others can encourage us for a while but the motivation to actually follow through must come from inside. We have to want something so badly that we’ll do whatever is necessary to accomplish that goal. Motivation is a mixture of fear and intense desire. It is a battle between head and mind telling you that “We think we can “. For that, we need to develop confidence and staying focused on outcomes by maintaining direction. 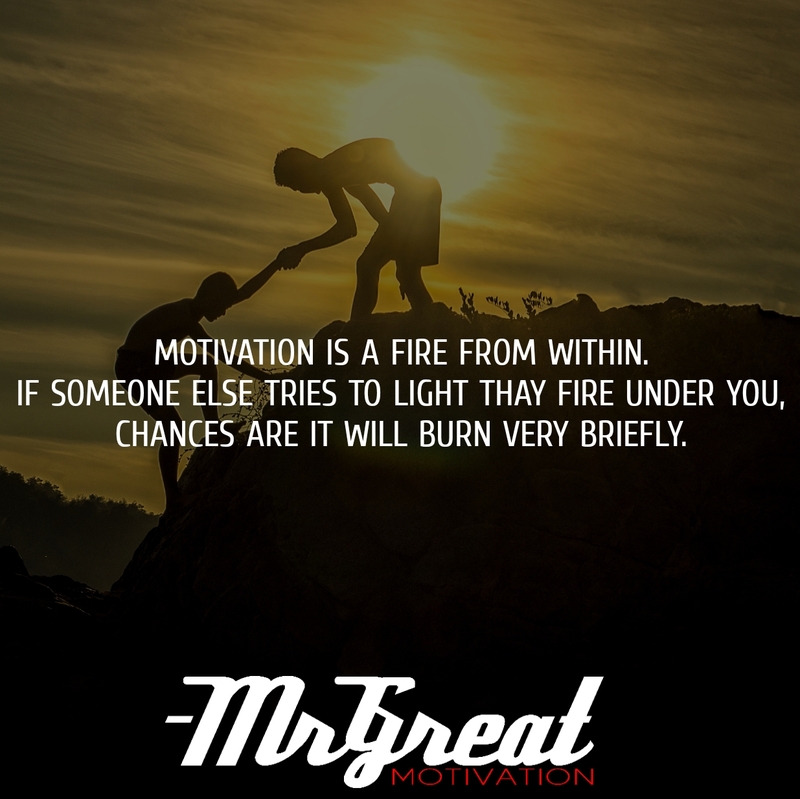 Only we can fan the flames of motivation within. If we prepare baseline for our daily task we can improve and track our progress easily this will keep us motivated by visualizing result day by day closer to our expectation. Staying motivated is not an easy task indeed. But we need to take baby steps every day to stay motivated. Regardless of what is going on around us, we need to focus on what we want to happen. Try to get a creative force inside. Try to create a positive vibe around by remembering the goal we have so far achieved, how far we’ve come and the successes we’ve already accomplished. We must start thinking, believing and speaking like we’re already a winner!Purposefully infusing life with a positive perspective will keep us motivated and eliminate all negative sources out of our life.